Welcome to my playlist. I’m organizing NFB titles, old and new, around my Filmmaker-in-Residence Manifesto for Interventionist Media. I originally wrote it to explain my experimental approach as the NFB’s Filmmaker-in-Residence [www.nfb.ca/filmmakerinresidence]. As the Filmmaker-in-Residence at an inner-city hospital, I was working to make media “with people” rather than merely “about people.” Films, documentaries, photoblogs and photography that would affect real, tangible, social and political change; media that could be used as a tool to advance, enhance and achieve their distinct goals. My job was an experiment. Through my work, I wanted to help subjects, participants and audiences take action. I called it Interventionist Media. Since I started over four years ago, we’ve been part of some incredibly transformative innovations and interventions, and we’ve won many international media and health awards. But this “interventionist media approach” is nothing new for the NFB – using film and media as a tool for social innovation is part of the Film Board’s DNA. The Scott John Grierson, the grandfather of documentary who founded the NFB in 1939, said way back then, "Art is not a mirror, but a hammer. It is a weapon in our hands to see and say what is good and right and beautiful." And in the ’60s and ’70s, the NFB Challenge for Change program put filmmakers in diverse communities to see how film could be part of a process of change. In fact, Filmmaker-in-Residence itself was dreamed up as a re-invention of Challenge for Change in current, contemporary digital times. (see my short interview with George Stoney: old school/new school (2008). Manifesto Point # 1: The original project idea and goals come from the community partner. Kanehsatake 270 Years of Resistance is arguably Alanis Obomsawin's most important film, documenting the military 1990 siege of a Mohawk reserve near Oka, Quebec, and its causes. I chose this film here because the celebrated Abenaki filmmaker told me recently: "For me a real documentary is when you are really listening to somebody. They are the ones that tell you what the story is. Not you." Alanis said these words in the short the film I made about her, called Dream Magic (2008). I actually first saw Alanis in person behind the barricades at the Oka Crisis, back in 1990. She was there with her camera, and with army helicopters and madness swirling all around, she was an apparition of hope. I was a student journalist, furious with the disparity unfolding between the reality I saw before me, and the mainstream media's skewed interpretations of it. 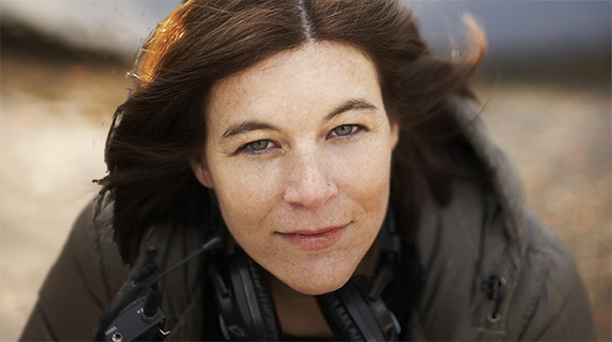 But because of Alanis, I was also witnessing the power of documentary firsthand. It is Alanis who first showed me almost two decades ago how collaborative the process can — and should — be. And from whom to draw inspiration. Manifesto Point # 2: The filmmaker’s role is to experiment and adapt documentary forms to the original idea. Break stereotypes. Push the boundaries of what documentary means.RIP: A remix manifesto (trailer) not only has the word manifesto in its title (! ), it is a great example of experimenting with and adapting documentary ideas. It is a cinematic argument for the right to use other people’s material in your own creations without being penalized. Director Brett Gaylor and the great gang at Eyesteele Film, in co-production with the NFB, use really innovative tools of the digital revolution to MAKE this film. Through their process called “open source cinema” Brett invites users around the world to upload, remix and reinterpret the actual film itself on his Web site. Winner of the prestigious 2008 audience award at the largest documentary festival on earth, IDFA. Manifesto Point # 3: Use documentary and media to “participate” rather than just to observe and to record. Filmmaker-in-Residence is not an A/V or a PR department. Billy Crane Moves Away is one of 27 films made during the legendary Fogo Island Experiment of the Challenge for Change project in the late ’60s. Fogo is heralded as one of the program’s great successes. In the late ’60’s, the government of Newfoundland had unilaterally decided that the small villagers of remote Fogo should leave the island, but the people didn’t want to go. Talks had broken down, and an NFB Challenge for Change filmmaker, Colin Low, along with an academic from Memorial University, came to the island to use film as an experiment. They would film life on the island, show the footage back to the villagers and then to the government. They also filmed the bureaucrats watching and responding to the films, and then showed that back to the community. By using film as a way to participate in mediation and dialogue between two groups who were no longer talking face-to-face, the Challenge for Change process was credited with helping all sides come up with a viable solution: the creation of a co-op fishing cannery, that is still in existence today. In Filmmaker-in-Residence, I re-tooled this methodology in a film called UNEXPECTED, in which we filmed healthcare workers talking about the difficulties of providing healthcare to homeless women giving birth. We then trained young women who have had experience with homelessness to use video cameras to interview themselves and other young parents about their own natal care. We showed each group the other’s footage, and the resulting dialogue was… remarkable. Manifesto Point # 4: Work closely with the community partner, but respect each other’s expertise and independence. Some people have called my Filmmaker-in-Residence role as “embedded” in the hospital. I have serious concerns about the term “embedded,” especially in the context of journalists working within the confines of the U.S. army in the war in Iraq. 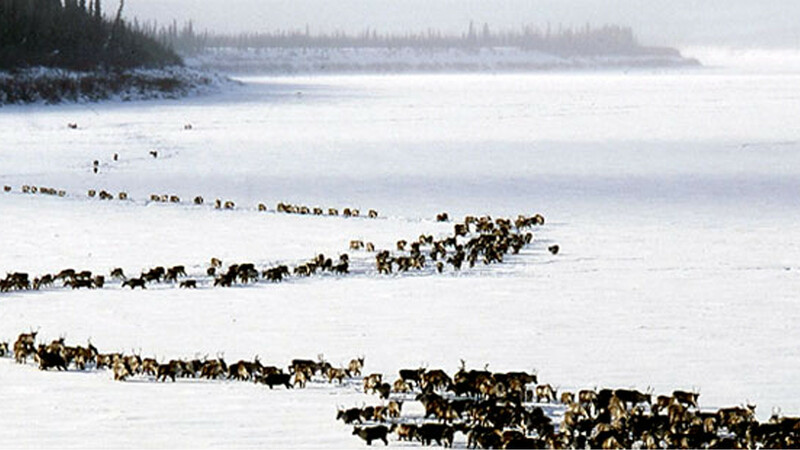 But I can’t help but draw some parallel to the work of Leanne Allison and Karsten Heuer, who “embedded themselves” amongst a herd of migrating caribou in the film Being Caribou (2004), directed by Leanne Allison and Diana Wilson. In their efforts to understand the fragile yet resilient porcupine caribou, it’s pretty clear that all parties truly respected each other’s expertise and independence. Manifesto Point # 5: Use whatever medium suits – video, photography, World Wide Web, cellphones, iPods or just pen and paper. It can all be documentary. Away is a very short film shot on a cellphone. Director Peter Mettler meditates on the dichotomy between nature and technology in the Costa Rica rainforest. It’s haunting and beautiful. Manifesto Point # 5: Use whatever medium suits: There’s a feature film worth mentioning here too. In House Calls (2006) family physician Mark Nowaczynski advocates for a return to the practice of house calls for seniors who are living independently in their own homes. Things sure have changed since the 1930s, when 40% of doctor-patient encounters were house calls. What’s interesting about “Dr. Mark” is that he’s turned to the art of photography to make his case. Through portrait photography, Dr. Mark gives a dignity to his patients and photography subjects, all the while making a strong argument for doctors to hit the road more often. This film, directed by Ian MacLeod and produced by Filmmaker-in-Residence’s own producer, Gerry Flahive, has influenced policy, practice and attitudes across Canada. Manifesto Point # 6: Work through the ethics, privacy and consent process with your partners before you begin, and adapt your project accordingly. Sometimes it means changing your whole approach – or even dropping it. That’s the cost of being ethical. Here’s a controversial one. An undoubtedly gripping and raw film, Through a Blue Lens (1999) raises serious questions about the ethics, privacy and consent issues when police arm themselves with video technology in the “mean streets” of Vancouver. The police motivation for making this film was honorable: they hoped to create an educational tool to help prevent drug use among young people by filming what they witnessed on the job every day. But video in the hands of law enforcement is a tricky issue. How much did the subjects have a say in the making and distribution of this film? This is one of the NFB’s best selling DVDs of all time. But should this film have been made in the first place? Manifesto Point #7: The social and political goals – and the process itself — are paramount. Ask yourself every day: why are you doing this project? If You Love this Planet could be considered a precursor to An Inconvenient Truth. It’s based on a lecture given by physician and anti-nuclear activist Dr. Helen Caldicott. The film, directed by Terre Nash, went on to win the Oscar for short documentary after being officially designated as "foreign political propaganda" by the U.S. Department of Justice. The film was made at the NFB’s Studio D, the first permanent, state-funded women's film unit in the world, created in 1974. Undoubtedly, the directors and producers were very clear about the question: Why are we making this film? Manifesto Point # 9: Track the process, the results and spend time disseminating what you’ve learned with multiple communities: professionals, academics, filmmakers, media, general public, advocates, critics and students. Democracy at Work is a curious short film made at the end of the Second World War, which seeks to prepare the country for transition into peace after war. It encourages the creation of management-labour committees to aid factory production to move from war efforts into an economy built on peace. Manifesto Point # 10: Support the community partner in distribution and outreach. Spend 10% of the time making it and 90% of the time getting it out into the world. And just “showing it” is not necessarily a political goal unto itself. Work with the partners to harness the project’s momentum to effect real participation and real political change. As part of Grierson’s vision, the NFB spent its first two decades not only producing films, but vigorously distributing and projecting films across the country and animating discussions after the screenings. Movie Showman (1989) tells this charming story of the Board’s early itinerant projectionists, who travelled the country, showing films in townhalls, church basements, and animating discussions about the war effort and the future of agriculture throughout the 1940s and ’50s. Directed by Harvey Spak, this film is constructed from documentary footage as well as dramatized sequences set in northern Alberta.